Field Blewit (Lepista personata) near The Cedars Hotel. 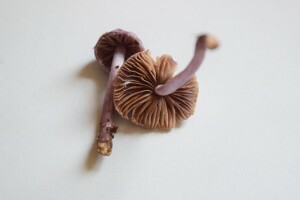 Lovely violet staining in the stalk. 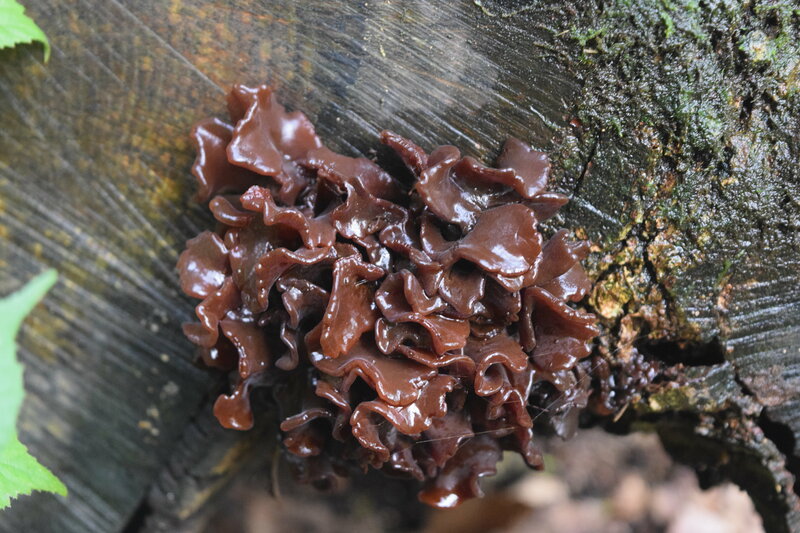 Leafy Brain Fungus (Tremella foliacea) on a log in the Wilderness. It has a wonderful rubbery texture. 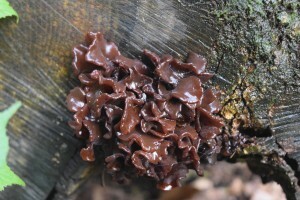 It parasitizes a bracket fungus’s hyphae which are growing within the rotting tree itself. Bachelor’s Buttons (Bulgaria inquinans) on dead oak in the Wilderness. These are a delicacy in north-eastern China and are very distinctive. 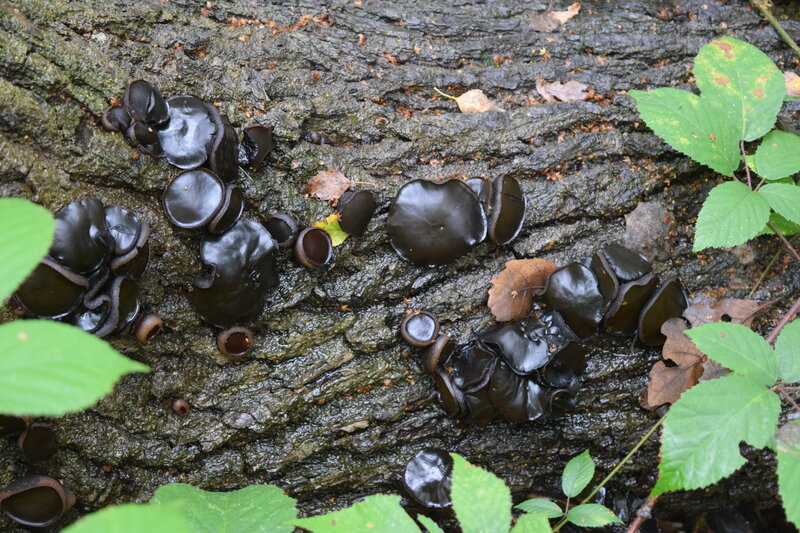 I have also seen them on large felled oak logs near the lake. 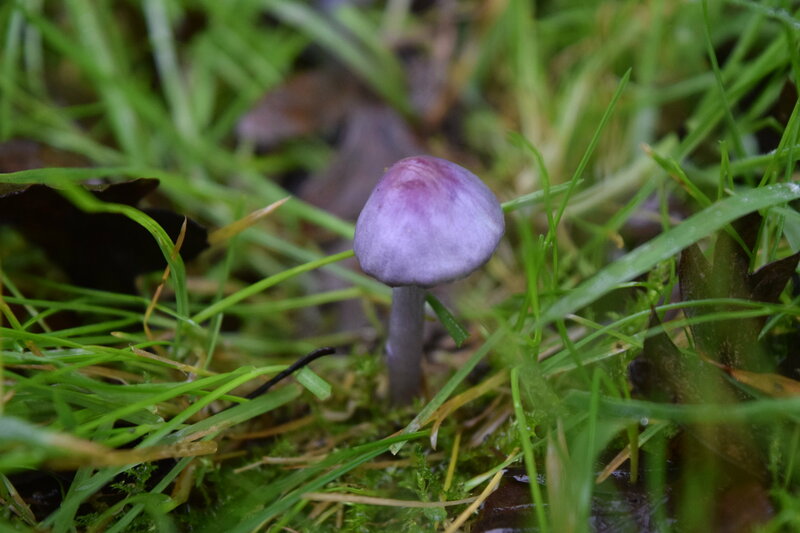 This week I found some small purple fungi near the impressive funnel caps on the paths behind AMS. I initially thought it might be Amethyst Deceiver (Laccaria amethystina) but closer inspection of the gills revealed them to be closely packed and a cream-grey shade. 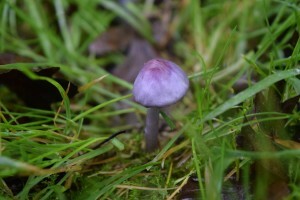 Amethyst Deceiver has violet coloured gills that are more spaced out. 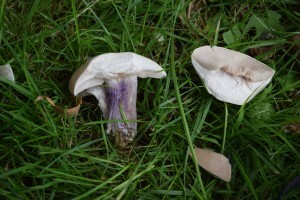 This means that these are Lilac Fibrecaps (Inocybe geophylla var. lilacina) and they are very poisonous indeed! I’m unsure which funnel cap species these are – if you know then please comment! They are the most conspicuous fungi on campus at present and are growing in a large ring on the eastern side of the lake. Keep your eyes peeled- there are lots more species to be found! 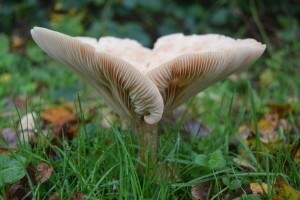 This entry was posted in Uncategorized and tagged basidiomycota, biodiversity, fungi, Identification, whiteknights. Bookmark the permalink.